This mandrel is 3/4″ diameter with a 5/8″ shank. 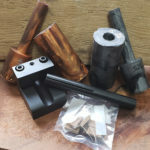 Can be used with a 5/8″ collet chuck or can be used with a 4 jaw chuck. This mandrel has medium knurling. 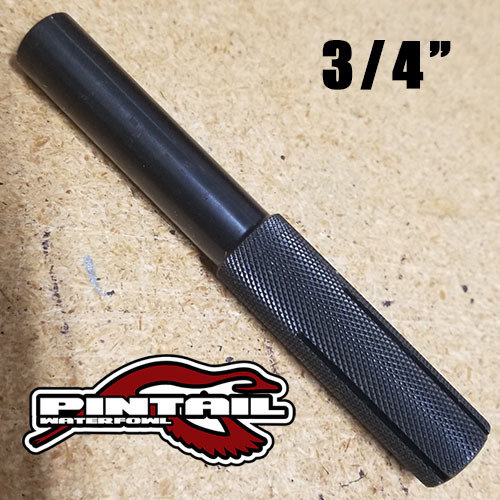 It works awesome for 3/4″ bore barrels like grunt calls and goose calls, but has a 5/8″ shank to fit most collet chucks without having to buy additional collets! 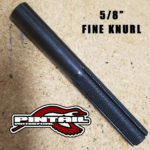 All our mandrels have a black oxide coating applied to help with rust prevention.